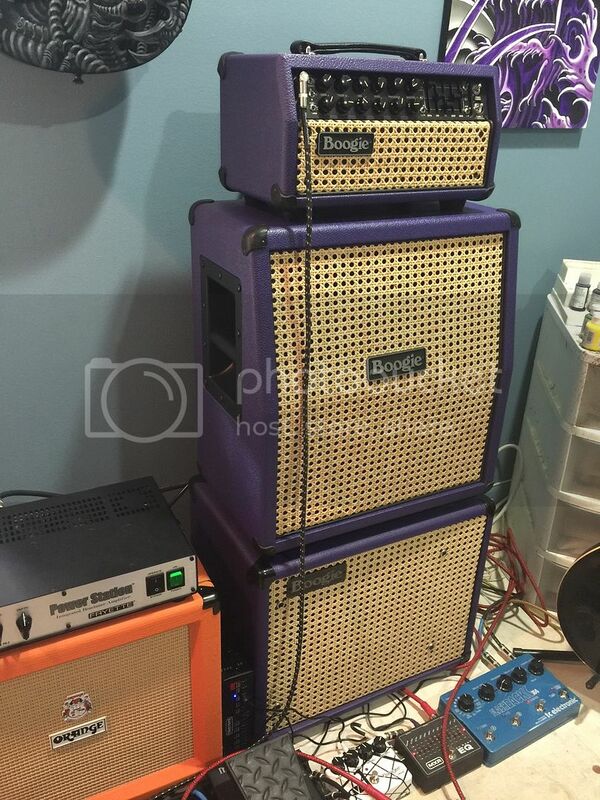 Here is a IG post showing my new new rig, the bottom cab is a custom recovered purple bronco with wicker grill by GTS, it has an Eminence Legend EM12 and sounds huge, the top is a custom order from Sweetwater with Boogie badge request instead of the standard Mesa one. I am also running it through a Fryette power station ps2 which gives 50 watts of 6L6 power for more low end at higher volume and works a an attenuator for lower volume cranking of the mark V 25 power section. Sometimes gear can sound better when it looks that good. WOW! That is awesome looking!